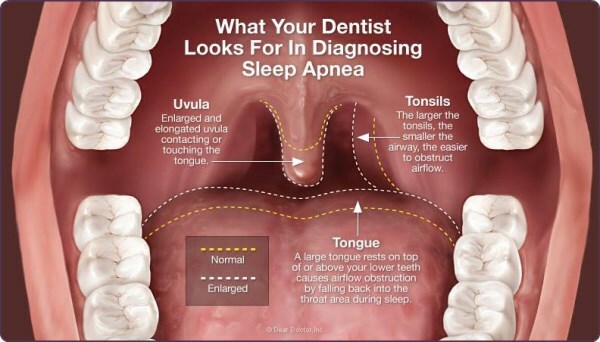 Are you affected by sleep apnea? Do you suffer from daytime tiredness? Sleep Apnea, also known as Obstructive Sleep Apnea (OSA) is the term used to define the interruption of airflow into a persons lungs while they sleep. Please note: This is only considered clinically significant if you suffer from OSA for more than ten seconds at a time and more than ten times within an hour. OSA occurs during sleep because the person’s upper airway does not have an sufficient amount of muscle tone to support their airway which causes the upper airway to collapse and obstruct the airflow into the lungs. This will only occur when a person is sleeping as when we are awake the upper airway muscles will not be relaxing and their will be sufficient muscle tone to allow for normal breathing. When you suffer from a sleep apnea episode your brain will automatically trigger a reaction to wake you up. This can be in the form of a loud snort or snore. You will then resume your normal breathing (until another episode happens). Sufferers of OSA will frequently be woken during the night and as a consequence will often feel extremely sleepy and tired the following day. One of the most common effects of sleep apnea is the excessive feeling of being tired during the day – But you must take into account their could be numerous reasons why someone is tired during the day, so diagnosing sleep apnea is not as simple as that. All of the above symptoms can also be experienced without having sleep apnea. But people who are suffering from OSA could show symptoms for a few of them and even all of them! One of the biggest symptoms to look out for though is excessive snoring with constant pauses and gasps. How do I diagnose Sleep Apnea? 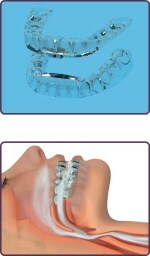 Sleep apnea cases can vary from very mild to extremely severe. There is a Apnoea/hypopnoea index (AHI) which can be used to identify the severity of a case. This index is used to calculate the number of Apnoeas (the suspension of external breathing) and Hypopnoeas (abnormal shallow or slow breathing with airflow reduction) per hour of sleep. If a person gets a score of less than 10 on the AHI it is very unlikely to be a clinical problem. If you have been diagnosed with sleep apnea you will be treated in conjunction with a consultant respiratory physician so they can assess the severity of your case. A Continuous Positive Airway Pressure (CPAP) device could be use to help ensure that your breathing normally during sleep (which will also help prevent any snoring). The CPAP is similar to wearing a mask and will continually send a flow of air through your nasal passage (which stops the air passage collapsing during the night). This device however can be quite uncomfortable to wear (especially if you are claustrophobic) and as a result their are other devices that have been designed to help with sleep apnea: Mandibular Advancement Devices. If your case is deemed serious your treatment would have to go through the consultant respiratory physician as serious cases can reduce life expectancy! If you think you have sleep apnea please arrange your free consultation to discuss what we can do for you.